Ready or not, winter is coming to Chicago, and much sooner than you might think. Don’t let the fact that Wrigley Field is still hosting Cubs baseball distract you from the reality that the frigid temps and snow-covered roadways are just around the corner. 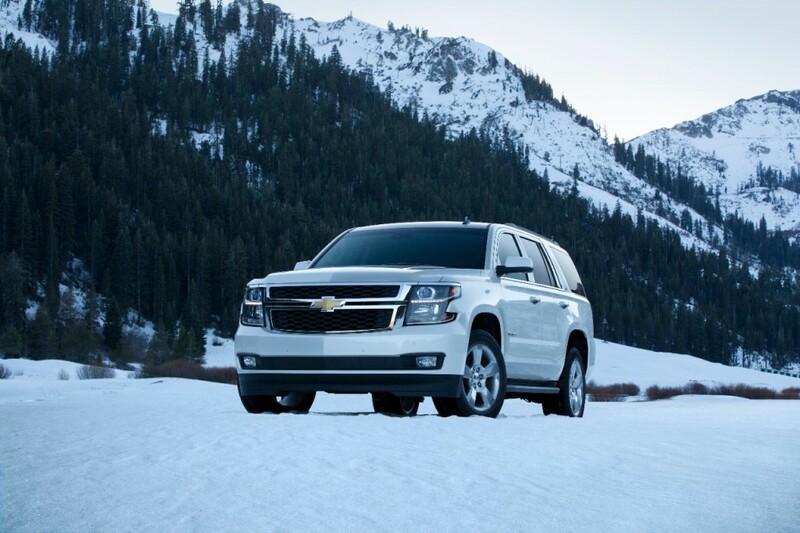 Instead of getting caught off guard with a car that can’t handle the notorious Chicago winter weather conditions, head to your favorite Chevy dealer near Villa Park for a great selection of new Chevy vehicles that can handle whatever Mother Nature has in store. From sedans that can traverse snow-covered roadways with ease, to full-size SUVs that are capable of conquering the mountainous snow-piles left at the end of your driveway, the bowtie brand has a great winter-ready lineup in store for 2017. With great new model offerings at great end-of-the-year deals, Chevrolet of Naperville is your one-stop shop for finding a vehicle that can tackle the infamous Chicago winter, giving you added confidence behind the wheel. Don’t get stuck driving a car that can’t handle the climate here in the Windy City; instead, check out the most winter-capable cars, trucks, and SUVs that Chevrolet has to offer for the 2017 model year. 2017 Chevy Trax: Hot off the assembly line, the all-new 2017 Chevy Trax is slated to hit dealer showrooms across the United States this fall. Small in size, but mighty in capability, the 2017 Trax is the city car that Chicagoans turn to for their winter weather blues. With an EPA-estimated 33 miles per gallon on the highway, the 2017 Trax comes equipped with a 1.4-liter turbocharged ECOTEC engine, and available all-wheel-drive that will give you more than enough traction on even the iciest of roads. Now with even more available advanced safety features than past model years, the 2017 Trax offers drivers the option to add lane departure warning, rear cross traffic alert, or forward collision alert. The small city car you need here in Chicago is now fully equipped to handle the notorious winter that area residents are becoming more accustomed to with each passing year. 2017 Chevy Traverse: The mid-level SUV offering from Chevrolet is the 2017 Traverse. With seating for up to eight passengers, and best-in-class maximum cargo capacity, the Traverse is as good as it gets in every possible way. Equipped with a standard 3.6-liter engine, the new Traverse delivers up to 288 horsepower and grabs a 22 mile per gallon highway rating from the EPA. A great choice for drivers who need light towing capability, the 2017 Traverse can muster up the courage to tow 5,200 pounds of whatever you need along for the ride. For snow and ice covered roadways, the 2017 Traverse can be outfitted with Chevy’s all-wheel-drive system, while advanced safety technology, such as rear park assist, make navigating through white-out conditions a breeze. 2017 Chevy Equinox: Another mid-size SUV in the Chevrolet lineup, the 2017 Equinox is more than capable of handling a winter in Chicago. Starting at just $23,100, the 2017 Chevy Equinox boasts an EPA fuel economy rating of 31 miles per gallon on the highway, and offers six different active safety features for added peace of mind. The Equinox comes with standard OnStar Automatic Crash Response for three months, an assurance that us Chicago area natives appreciate very much. Drivers who want the added confidence of all-wheel-drive can opt for it on the new Equinox models, along with their choice of two different engine choices. The 3.6-liter V6 boasts a best-in-class horsepower rating of 3.6-liters, and can tow up to 3,500 pounds without skipping a beat. Whether you plan to fly south for the winter with your camper in tow, or are heading north with your snowmobiles, the Equinox will go with whatever flow you need it to. For added convenience and safety, the Chevy MyLink system with Siri Eyes Free technology will help keep you connected on the go, safely and easily. The optional Navigation system will even give you real time traffic and weather updates, ensuring that you are always on top of what is going on around you. 2017 Chevy Cruze Hatchback: The mullet of the midsize compact car segment, the all-new Chevy Cruze Hatchback is garnering all kinds of attention for its business in the front, party in the back attitude. Not only is this five-door hatchback an eye-catching addition to the Chevy lineup, it is also capable of navigating you safely through this impending winter weather. While heading off-road in the Cruze Hatchback may not be a great idea, the front-wheel-drive car offers Chevy’s StabiliTrak Electronic Stability Control System, which will help keep you in control through snow-dusted roads and icy conditions. An impressive 40 miles per gallon on the highway is a point of pride for Chevy’s newest addition to the Cruze lineup, along with its starting MSRP of just $21,240. The 2017 Chevy Cruze Hatchback will keep you calm and collected this winter, while saving you tons of money along the way. Chevrolet of Naperville has all of these winter-ready vehicles available, with plenty of each for you to choose from. Whether you want to give the newest addition to the Chevy lineup a shot, or are more inclined toward the traditional SUV model, the car you want is waiting for you at Chevrolet of Naperville. Come down and take one of these capable vehicles for a test drive, and experience for yourself all that they have to offer. The first snowfall here in Chicago is right around the corner, so don’t get caught driving a car that can’t get you through the next several months. 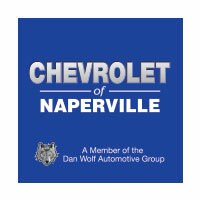 For your convenience and safety, be sure to come down to Chevrolet of Naperville and test drive these great new offerings from our favorite automotive brand sooner, rather than later. With great deals on 2017 Chevy models, you will be happy that you didn’t let another winter pass you by, stuck behind the wheel of a vehicle that you aren’t confident driving. Stop by and see our great selection of brand new Chevrolet cars, trucks, and SUVs, waiting for you at Chevrolet of Naperville.